Starting tomorrow, players that deposit at Juicy Stakes Casino will get free spins on some of the casino’s most bewitching slot games. 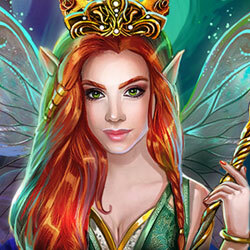 Until Wednesday, the casino is giving free spins on the brand-new Faerie Spells as well as Alkemors Tower, Magic Shoppe and Enchanted, all from Betsoft. Woodland spirits brew potions in the shadows, and any toadstool can hide a hoard of treasure in the mystical new Faerie Spells slot game. The Faerie Queen can reveal win multipliers hidden under toadstools or trigger the game’s unique four-tiered jackpot game. Enchanted is an all-time favorite with Juicy Stakes players. It’s a 30-line slot with a dazzling Free Spins feature. Magic Shoppe has a Wild Wands feature that turns Suns, Moons and Wands into Wilds. The amount of the deposit determines the number of free spins players receive and which games they are on – up to 100 free spins on the ever-popular Enchanted with a minimum $100 deposit. Free Spin bonus codes can be used in any order and can be used more than once. Free spins will be available 24-48 hours after deposit. Wagering requirement: 30X. Max cash-out: $250. Details are available at Juicy Stakes Casino. Juicy Stakes Casino, which welcomes players from all over the world, is known for their busy poker rooms on the Horizon Poker Network. They also offer a wide selection of slots and table games from Betsoft, Lucktap and Worldmatch.